We're serious about keeping farmers market produce on the menu all year long. Alexandra Stafford of Alexandra Kitchen shows us how to store, prep, and make the most of it, without wasting a scrap. Today: A lime curd recipe—and a slew of other citrus-forward ideas—to bring a little bit of sunshine into your kitchen. Not two weeks ago, where I live, it snowed. Just as I began browsing online for sunlamps, the mailman delivered an amazing package: A flat rate box filled to the brim with Key limes. A friend had sent me a stash from her backyard in Texas, and while nothing could have more quickly cured my cold-weather blues than this sight, there was one problem: I had no idea what to do with them. When my Northeasterner neighbors could offer me little guidance beyond pie, I reached out to my internet friends, who were full of ideas: Marmalade, ceviche, caipirinha, enchiladas, lots of gin and tonics, overnight oats, limoncello, pickles, lime curd, cocktail syrup, vinaigrette, margaritas, limeade, and Key lime bars among them. 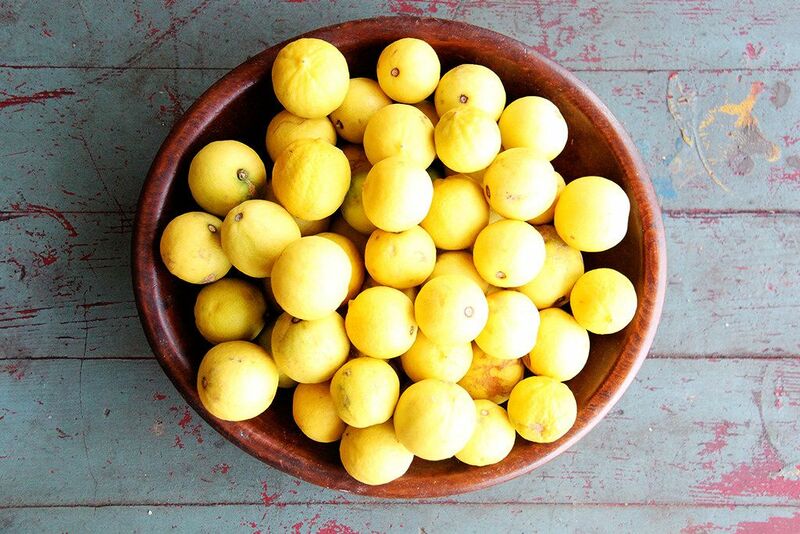 With so many possibilities before me, I set to work juicing the limes—honestly, they looked more like golf-ball sized lemons, perfect little spheres with an intoxicating floral aroma. Key limes have a thinner rind than the more common Persian limes, and as they ripen, their skin turns from green to yellow. This batch of Key limes, which my friend had collected from the ground—she had been taught never to pick Key limes from the tree—were perfectly ripe, and they juiced like a dream. 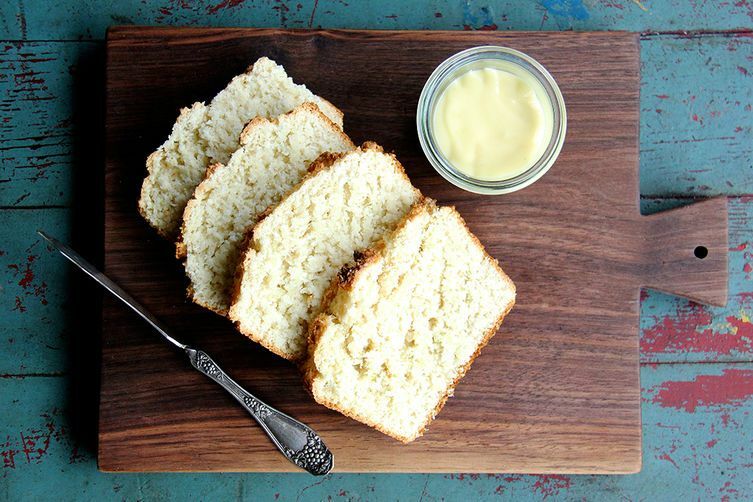 In just about 10 minutes, I had generated two cups of juice, and shortly thereafter, the experiments began: Lime curd thickened in a double boiler on the stovetop; overnight oats set in the fridge; shallots macerated in juice on the counter; and coconut bread, made purely for the enjoyment of the lime curd, freshly baked. With each new Key lime experiment, I channeled the spring forces, and as I sat down to my first slice of coconut bread slathered with lime curd, I looked out the window to see the neighborhood abloom with flowers. I think I can safely stop thinking about that sunlamp—for now. As Key limes ripen, their skin turns from green to yellow, so if you’re looking for ripe limes fit for juicing, look for yellow limes with smooth, unblemished skin. 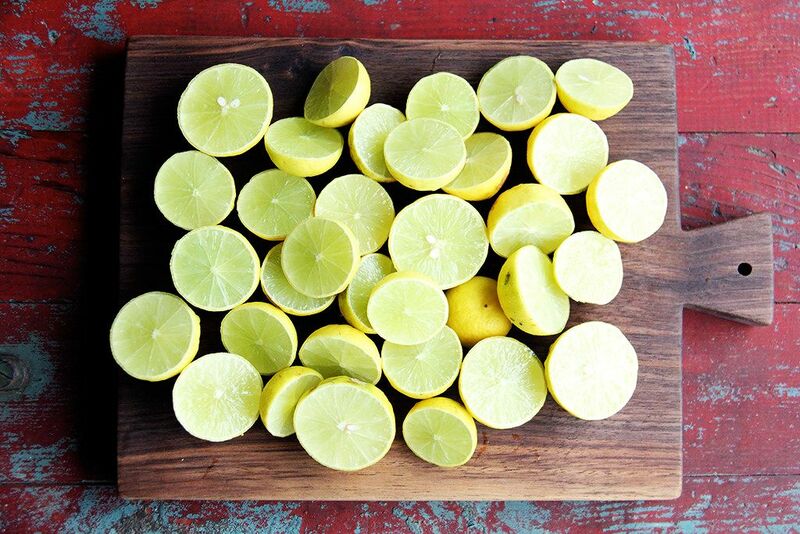 Store ripe limes in the refrigerator. 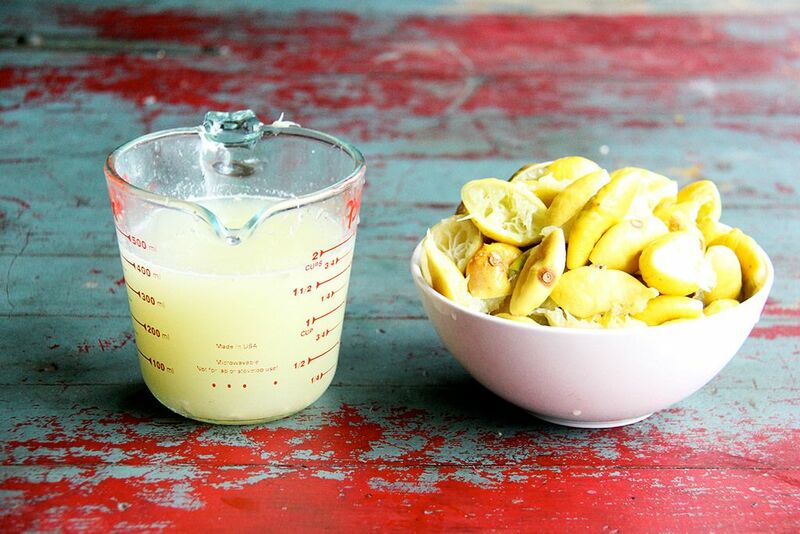 If you're using the zest, make sure you wash and dry the limes before you zest them. Otherwise, halve them and juice as needed. Use Key limes as you would other citrus, but be warned: These little spheres pack a big punch, tasting not only tarter than Persian limes but also a little bitter, which is why they so often make their way into sweeter dishes. Pie: Stick to the basics here—sweetened condensed milk, graham cracker crust, whipped cream topping—and make a classic Key lime pie. A four-ingredient, mix-and-freeze ice cream: Combine sugar, cream, zest, and lime juice, then churn in ice cream maker until set. A smoothie: Blend Key lime juice and zest with banana, coconut milk, coconut oil, and agave. Top with graham cracker crumbs. 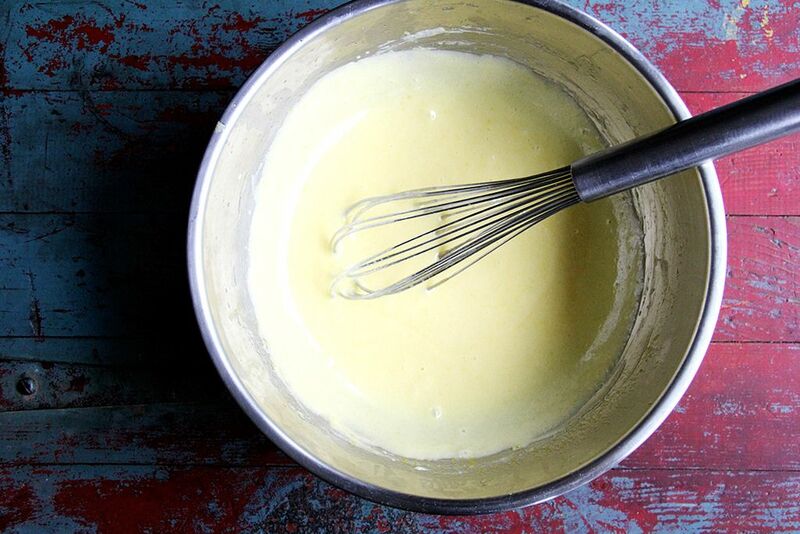 A rustic pudding: Make an egg custard, then flavor it with honey, lime, and Greek yogurt. Enchiladas: Make a smoky tomatillo salsa, then assemble enchiladas with chicken (roasted, grilled, or rotisserie) and Jack cheese. Bake and serve with crème fraîche. A summer ceviche: Cure fish with lime juice, onion, and salt, then mix with watemelon, tomato, cucumber, and cilantro. A Cuban salad: Grill pineapple, then arrange with watercress, avocado and red onion and toss with a lime dressing. Drinks: Margarita. Caipirinha. Gin and tonics! Absolutely. 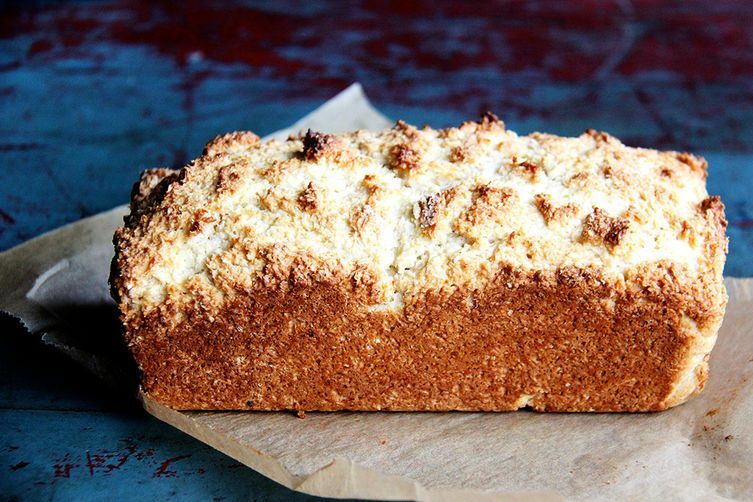 I would just reduce the sugar slightly or not at all — it's probably delicious with the sweetened shreds. Thanks for your rapid response. I'm going to make this tomorrow for a dinner party. Don't have an excess of limes, so I figured I'd serve it with berry compote and whipped cream. That sounds amazing! Totally delicious.